After finishing my first novel (a lurid, over-the-top occult potboiler) I decided I wanted to try my hand at a more traditional Gothic romance, so I spent a few months rereading a number of old paperbacks from my collection. Of course, I had to start with Barbara Michaels. I had reread her first two books, Master of Black Tower and Sons of the Wolf, about a year before, so I picked up Ammie, Come Home, and was reminded once again what an underrated gem of a ghost story this little book is. 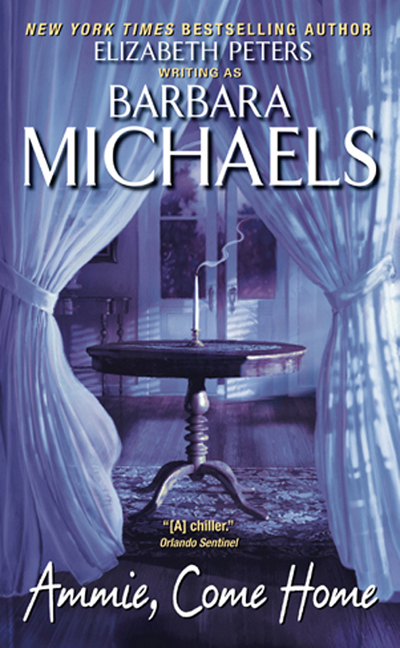 First published in 1968, a full two years before William Peter Blatty’s The Exorcist made this type of old fashioned ghost story all but obsolete, Michaels’ tale of avenging ghosts and spiritual possession pushed the envelope for the Gothic romances of the era. 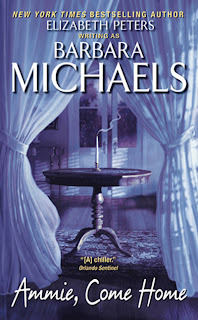 The bona fide supernatural was not a popular theme among Gothic romance purists, and despite her continued popularity forty-odd years later (Michaels’ back catalog has never gone out of print), readers of old school Gothics still have difficulty embracing Michaels as the premier American Gothic novelist of her day. 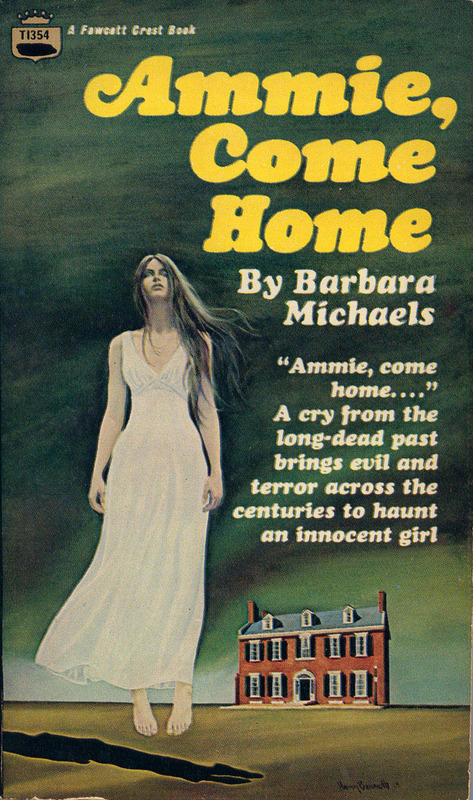 Ammie, Come Home was to be the first in Michaels’ unofficial occult trilogy. 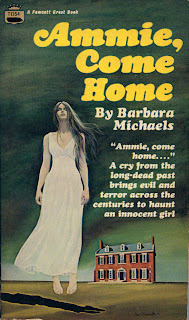 Beginning with Ammie, Come Home and continuing throughout the rest of her career under the name Barbara Michaels (she is better known as Elizabeth Peters of the best-selling Amelia Peabody mystery series), Michaels makes a concentrated effort to subvert and expand the conventions of the Gothic romance genre which was enjoying it’s heyday in the late 60s and early 70s. Here, the protagonist is a middle aged, widowed aunt, and the romantic lead an irascible red-headed anthropology professor in his early fifties, but the romance takes a back seat to the ghostly manifestations. 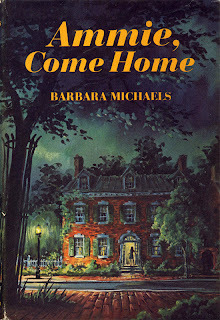 Our heroine, forty-something Ruth Bennett, takes a casual romantic interest in her niece Sara’s anthropology professor, Pat McDougal, and soon Ruth has scheduled a séance in her historic Georgetown home after meeting a famous society medium at a fancy soiree. First mistake. Before you know it, niece Sara is speaking in an otherworldly voice and violently attacking her aunt with no recollection of her actions in the morning. Said anthropology professor plays the devil’s advocate throughout, eager to cart Sara off to an asylum to have her checked out for multiple personality disorder. But Sara’s boyfriend, Bruce, and Aunt (and of course, we readers) know better. 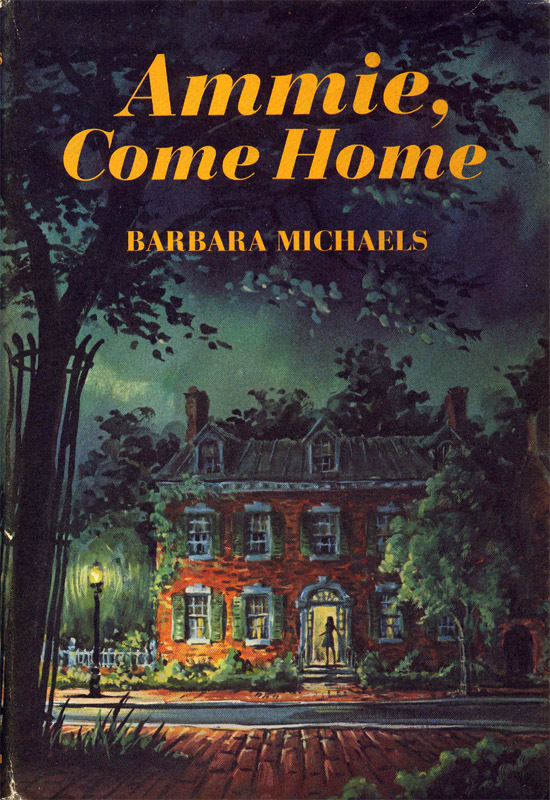 It seems Ruth’s home was the scene of a Civil War era domestic drama, and not only Sara, but Bruce, Pat, and Ruth are all players in the necessary reenactment of the crime and its vengeance. No one will ever mistake Barbara Michaels’ books for being high brow Gothic literature of the Shirley Jackson variety, but Michaels has clearly done her research, managing to tell a rollicking tale of the supernatural judiciously sprinkled with arguments, both pro and con, to support the theory of ghosts and possession. Harry Bennett is one of my favorite Gothic Romance cover artists. 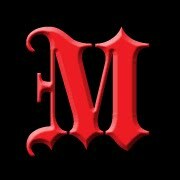 I've corresponded with his son a few times over the years and plan on a post about his work in the near future. I re-read this novel and Blatty's The Exorcist back to back, and I can't help thinking that Blatty got away with something.